SELC was founded in 1985 in the city of Sydney being one of the longest established schools. 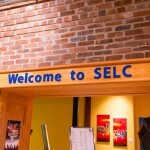 SELC Canada opened its doors in Vancouver in 2012 and since then SELC Vancouver has developed its own culture and unique atmosphere, which separates us from larger, less personal schools. The computer laboratory is available for student use before class (8:00 – 9:00 am) at break time (10:30 – 11:-00 am), lunchtime (12:30 – 1:20 pm) and after class (3:30 – 4:00). Students may also access the internet using their own lap-top computers and SELC’s Wi-Fi connection. The General English course teaches students everyday English with a focus on listening and speaking. You will cover all the skills necessary to improve your English level. Students in these programs develop the communication skills required in a professional environment and broaden their knowledge of the business world. Students will increase their familiarity with customer service, marketing, presentations, business communication, resumes and job interviews in the Canadian work environment. This program has been carefully designed to combine innovative, leading-edge hospitality instruction with premier tried and tested “real-world” co-ops in beautiful British Columbia Canada.